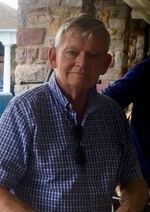 Thomas C. Whalen, a resident of Doylestown Township for 43 years and Warrington for the past year, passed away on Tuesday, August 07, 2018 at Doylestown Hospital. He was 75. Thomas was the loving husband of 53 years of Kathryn Whalen (née Hackett). Born in Philadelphia, Thomas was a son of the late William and Eleanor Whalen (née McLaughlin). Thomas (“Tom”) was a proud member of the IBEW Local 98 as a journeyman electrician. Later he was employed as an electrical project manager with Willard, Inc. before starting his own company, Castle Valley Electric. Tom retired in 2000. In addition to his wife, Tom is survived by a son David Whalen (Oanh), two daughters, Lisa Whalen and Annmarie Hackley (Chris) and 7 grandchildren, Madison, Caroline, Katie, Christopher, Leah, Cooper and Ani. He is also survived by a brother John, a sister Patricia Leinheiser (Jim) and a sister in law, Marianne Whalen. Tom was preceded in death by a brother William. Tom was a devoted family man and loving grandfather (“Pop Pop”). He loved his wife, Kathy, and could not have gotten by without her. He almost never missed a day telling her she was beautiful. As a father, he offered his children both confidence in their abilities and every opportunity within his power. He urged them to reach for their goals. Tom was tremendously proud of his seven grandchildren and frequently was known to brag about each of them, often while sporting one of their college sweatshirts. Tom was a man of many interests in his lifetime. He was an avid reader, loved the outdoors (hunting, fishing, boating, photography, to name a few). Tom never did anything halfway. When something interested him, he bought all of the “toys” to go along with it. He owned several boats in his lifetime, his favorite probably being his sailboat on the Chesapeake. He took many charter sailing trips with his buddies to the Caribbean, Mexico, Ireland and the Mediterranean. In his later years, he had a boat that he kept in a slip on Lake Nockamixon. Tom loved to take his family out in the boat and not-so-jokingly referred to Lake Nockamixon as “Lake No-Fish.” In the 80’s and 90’s, he was an active member of Saw Creek Hunting and Fishing Club up near Marshall’s Creek, PA. Family and friends have many very fond memories of time spent in the clubhouse there. Tom truly knew how to live life to its fullest. During his retirement, Tom would regularly eat breakfast at local establishments with his longtime friends. They jokingly referred to themselves as the “ROMEOs” (Really Old Men Eating Out). Most weekdays mornings, they could be found kiddingly giving the waitresses a hard time at the Oaks in Pipersville. Tom was quite a joker and would start a conversation with anyone, anywhere. His sense of humor was very dry and quick. His wife, Kathy, must have said, “Don’t believe a word he says” many thousands of times in their half century together. His ironic sense of humor also earned him the nickname “Fibber Popster” from his grandchildren. Tom will be very missed by his family and friends. Relatives and friends are invited to Thomas’ Funeral Mass 11:00 am, Friday, August 10, 2018 at Our Lady of Mount Carmel Church, 235 E. State St, Doylestown where the family will receive friends after 9:30 am until the time of mass. Interment will be held privately in Doylestown Cemetery at a later date. Memorial contributions may be made to the Little Sisters of the Poor, 5300 Chester Ave, Phila, PA 19143 or to St. Jude Children’s Hospital, PO Box 50 Memphis, TN 38101.